That is how the Taufua family has been able to overcome the cruel blows thrown their way since the tsunami devastated the south coast of Upolu on 29th September 2009. Seven years later and those mental wounds from that Tsunami remain fresh for many. For the Taufua family, losing 14 family members was hard and rebuilding may have looked impossible; but together they slowly got back on their feet. 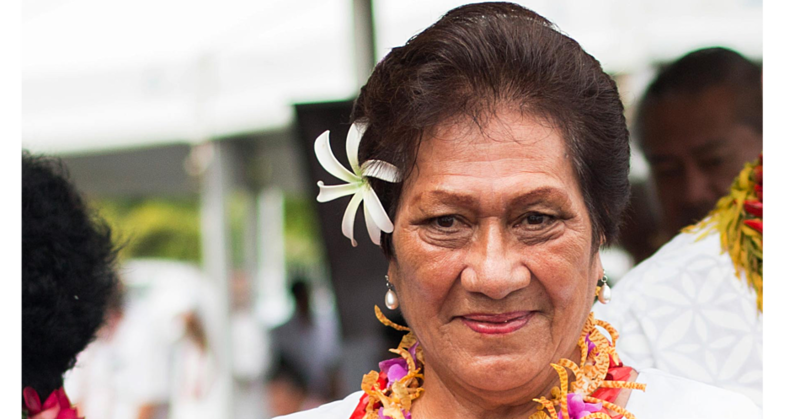 Pola Taisali, a niece of Faafetai Taufua, the owner of Taufua beach Fales, recalls the day like it was just yesterday. The day began like any ordinary day would for Pola until the earthquake hit. “On that day my whole family was awake but I slept in along with a few other girls my age who stayed with us,” she said. “We were shocked by that strong earthquake then we ran outside to see what was going on because this was the strongest earthquake I have ever felt." “We ran back into the house and five minutes later everyone was yelling and running saying that a tsunami was coming." “I then warned my Aunty but in my mind I thought it would just be a medium sized wave that will hit us and that there wasn’t going to be much damage." And then the first wave hit. 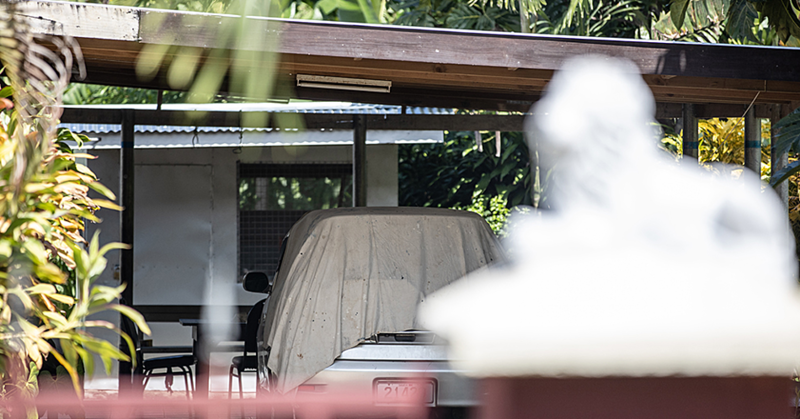 “Still inside the house I was looking towards the sea area and my Aunty was looking back at me,” Pola explained. “The wall then caved in with the water pushing through; I lay at the feet of the old man (Taufua) and my Aunty lay on my chest." “I don’t know what happened next but when I gained consciences I could only see a bit of light from under water and I thought I was out at sea but I was still inland." “When the wave retreated I went back down a bit with all the rubbish and I tried to swim up to get some air and when I got up I saw everyone running up the mountain." “The wave came back and I was submerged again. When the last wave hit I felt that my body was weak and just couldn’t swim up anymore." “As I was dragged down I thought to myself – I have no more strength – Once my feet touched the sand I gave it one more shot and the next thing I knew the water was leveled at my ankles." “I could barely walk because my body was too weak from trying to swim. I looked to the side and I saw old man Taufua’s bed and I was hoping that he was alright." That day marked the minds of the Taufua family but they rebuilt their lives one beach house after another." “After the Tsunami, Tai (Fa’afetai Taufua) sent us to New Zealand to have a good time and take our mind off of the tragedy,” Pola said. “While we were gone he had already started rebuilding. The foundation was the only thing left so he started with a restaurant which he built on top of the foundation." 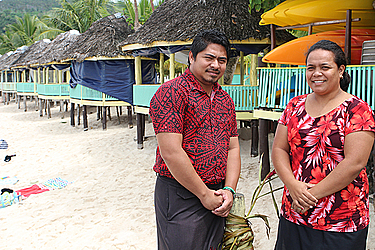 For another family member, Farani Paniana who also works at the Taufua beach fales, he says although rebuilding wasn’t easy, they still managed to do so as a family. “Right now there have been a lot of changes from the time the tsunami hit,” he said. “For me I think we have improved a lot since that day. Right after the tsunami, hardly anyone visited us here and now people are starting to come back slowly." “We are getting very busy from March till October then the rest of the months are pretty slow for us. The only problems we had was back when we first tried to start up again." Farani too remembers the day like it was yesterday. “The sorrow any human feels from any loss is what we feel,” Farani said. “It was very hard and very sad; not only did the old man pass away but so did many children. When the earthquake hit we thought that was the end of it and never thought a tsunami would come. I was in town when this all happened." “When I heard the news I tried to call my family and no one answered so I thought the worse happened to them."